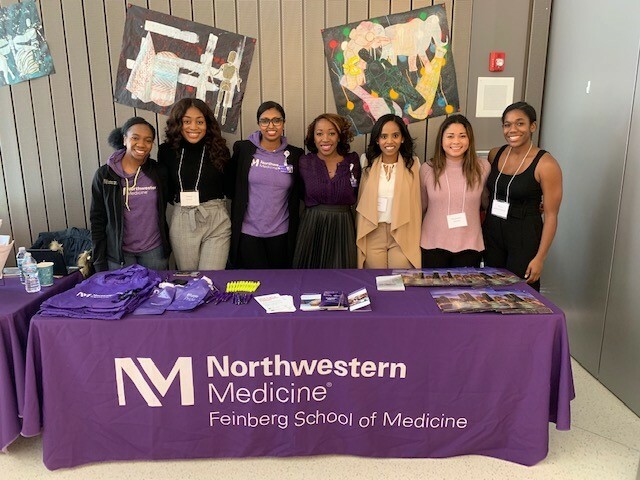 Northwestern McGaw Underrepresented Residents and Fellows Forum (NMURFF) is an inter-departmental group for trainees at Northwestern McGaw Center for Graduate Medical Education. The NMURFF leadership consists of residents and/or fellows who carry out programming in four areas: mentoring, networking and career development, outreach, and strategy and collaboration. NMURFF welcomes members of all backgrounds who support our mission. Our work centers on diversity and representation and is focused on (but not limited to) race, ethnicity, gender, and sexual orientation. Work strategically and collaboratively to advance diversity for the Northwestern McGaw Center for Graduate Medical Education through outreach and other avenues. Provide career development and networking opportunities aimed at addressing underrepresentation across specialties locally and nationally. Support each other and current medical students through mentoring and partnership. Work to foster an environment where all trainees can thrive. NMURFF meets quarterly. The first 15–30 minutes is business followed by a presentation, activity, or speaker. August through December meetings will be held in Feinberg Pavilion Room 2-715. To join NMURFF please email the leadership for additional information. Housestaff also communicate with the administration on a host of concerns via the McGaw Housestaff Association. Learn about the ways in which McGaw fosters a diverse and inclusive community.